Taking the Dog for a Walk - Exercise with Dogs. Jan 13, 2015 If you’ve ever thought of getting a dog for the purposes of your own health and fitness you’re not alone. Thousands of people have t..
Why Hobbies are Important. Feb 25, 2019 What is a Hobby? Hobbiescan help us relax and unwind after a long day at work or to enjoy at weekends after a hard-working week. They are i..
Dog Care course online. Understand animal behaviour - learn at home This course is relevant to pet owners, veterinary assistants, or people who work with animals (eg. in pet shops, animal shelters, farms, kennels and catteries, etc). Animals have many specialised abilities that result from both innate programming and learned behaviours. It was once believed that logical thought was unique to man, but the more we study and observe animals, the more we realize that this is a fallacy. 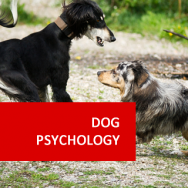 In understanding animal behaviour, we extend our basis for understanding human behaviour, and as such, the course may also be valuable for anyone studying general psychology. Understand a wide range of dog's needs. 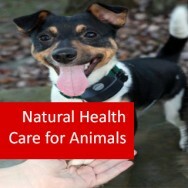 Know how to provide effective care for those needs either as a dog owner or a professional working in the industry. Understand the different goods and services within the canine industry. Explain how to groom a dog. Determine how to successfully operate a dog grooming business. The dog industry is a lot bigger than what many people might realize. People spend a lot of time and money on dogs, and opportunities for working in this industry are diverse. Consider the following. Pet stores are like any other shop, a retail outlet for products. To be a successful pet shop owner, manager or employee, you need to be able to sell merchandise, from pet food and toys to cages, fish tanks, leashes and the pets themselves. Obviously you need to know about caring for different animals in order to keep the animals you are selling in good condition; and advise customers on the products they might buy. Some pet shops may be more caring for the animals than others. Some pet shops (or departments in other stores) may sell non living products that relate to pets; without selling the actual pets. Some pet shops specialize in the type of pets they sell (eg. An Aquarium shop). A lot of the work involves dealing with the public This may include people who have mistreated animals, others who are regretfully in a position that requires them to surrender their animals; the general public who report strays or nuisance animals, and people visiting the shelter to register pets. 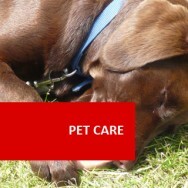 Grooming is an important part of dog care and, in some cases, it may become part of a daily task. If you love animals and care for their appearance, comfort and health, then here’s the job for you. As a Dog Groomer, you will care for both, the hygiene and cleaniness of a dog, as well as earning a living from doing what you love. 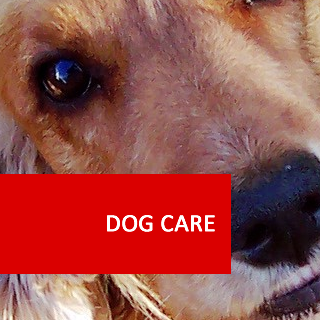 Being a Dog Groomer can be quite rewarding as you are in constant contact with the dog creating, therefore, a closer bond as you are handling and caring for the dogs best needs. You will be gratified by knowing the dog is clean and by decreasing its chances from various health problems such as thrush, scratches, infestation, parasites on the skin, and other skin problems, as well as a general health check making sure its free from any cuts, heat, swelling, lameness or temperament changes which, in turn, can be an indication of illness. As a Dog Groomer you will be in charge of keeping the dog’s coat, nails, skin and health in optimal conditions to satisfy the owner’s desires, as well as giving the owner advice on the dogs general care and diet for maintaining its health.